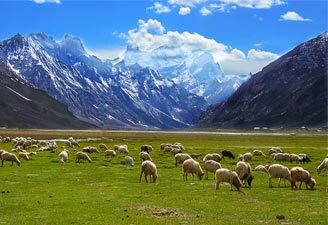 Book our Leh Ladakh tour packages to visit these bundle of nature in the state of Jammu & Kashmir. 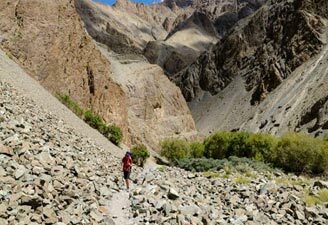 Leh Ladakh tour India remains popular among not only nature lovers but also among adventure buffs. 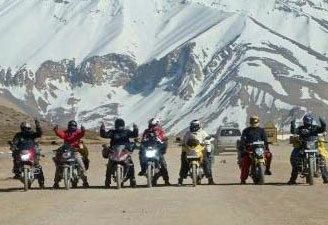 We organize Leh Ladakh trip for groups, honeymooners, solo travelers, etc. 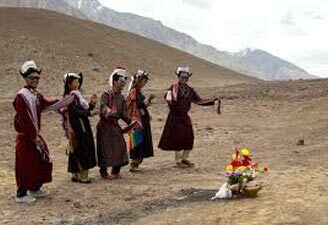 Contact our team to know the Leh Ladakh tour packages cost. 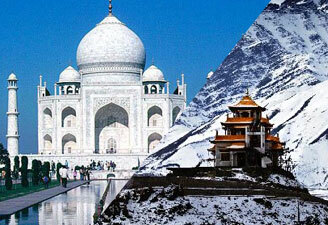 We offer Leh Ladakh trip package in all budgets depending on your needs and likes. 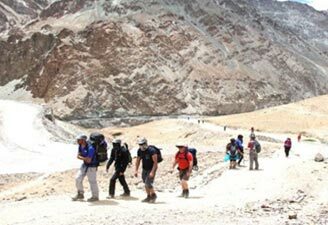 Our competitive Ladakh trip cost and strategically crafted Leh holiday packages make us the most preferred online travel company in India. 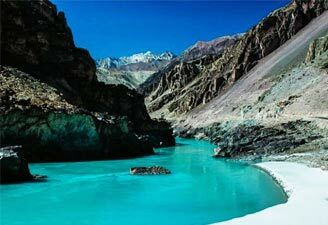 So book your Leh and Ladakh tour today. On arrival at Leh airport, meet & greet by our representative and transferred to the Hotel. Afternoon visit Leh Market, Leh Palace, Hall of Fame and Shanti Stupa. Overnight at Hotel. After breakfast drive to Lamayuru enroute visit Liker Monastery and Gurudwara Pathar Sahib. Check in Camp at Alchi or Ule and enjoy your hot Lunch. 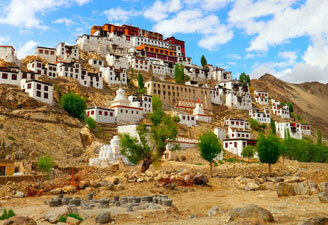 After Lunch drive to visit the mesmerising Moon landscapes and the Lamayuru monastery (Oldest Monastery in Ladakh). Overnight at Camp or Hotel. After breakfast drive to Leh enroute visit Alchi monastery, Basgo Palace and Hall of Fame. Arrive at Leh by afternoon. Overnight Hotel. After Breakfast drive to Nubra Valley via Khardungla (Highest Motorable road in the World, 18,380 ft). Arrive at Deskit by Afternoon. Rest of the day is free to explore Deskit, Hunder Villages and camel Safari in Sand Dunes between Deskit and Hunder Village. Overnight at Hotel. After Breakfast visit Deskit Monastery and drive back to Leh . Overnight Hotel. After Breakfast leave for Pangong Lake 14,500 ft, through Changla Pass 17,350 ft. (third Highest Motorable road in the world.) Overnight at Camp.